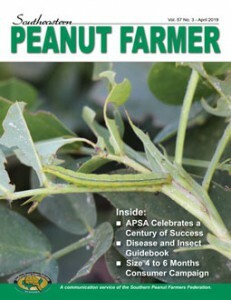 The April 2019 issue of the Southeastern Peanut Farmer is now available online. The March 2019 issue of the Southeastern Peanut Farmer is now available online. The January/February 2019 issue of the Southeastern Peanut Farmer is now available online. The October/November 2018 issue of the Southeastern Peanut Farmer is now available online. 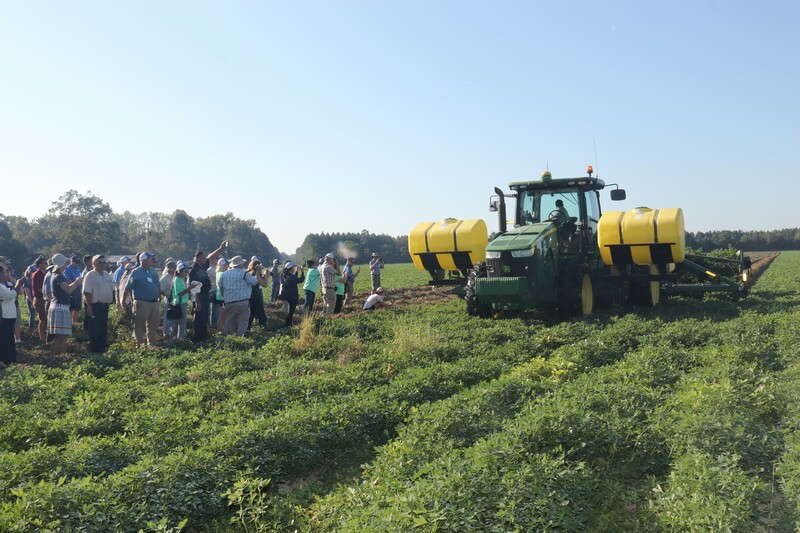 2018 Georgia Peanut Tour attendees see harvest first-hand at the farm of Lee and Charley Cromely in Brooklet, Ga. When people think of Georgia peanuts, they often think of the thousands of acres planted on the western half of the coastal plain. But the truth is that east Georgia boasts its share of peanuts as well. During the 2018 Georgia Peanut Tour, about 200 industry leaders and other peanut stakeholders learned about the eastern half of Georgia’s peanut belt — from the Bulloch County fields that produce more than $20 million worth of peanuts a year to the Port of Savannah, where Georgia’s peanut exports are sent overseas. The Georgia Peanut Tour is organized by the Georgia Peanut Commission with the help of industry leaders and peanut researchers at the University of Georgia. 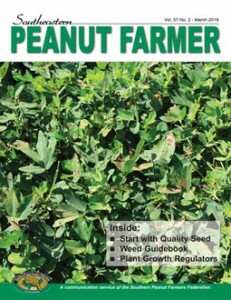 It’s designed to help peanut stakeholders, who are not familiar with Georgia agriculture, to learn more about the local impact of peanut farming and how commission-funded research impacts individual growers and farms. This year’s tour attracted attendees from more than 20 states and four countries outside of the U.S., according to Joy Crosby, communications director for the Georgia Peanut Commission. Over the course of the three-day tour, experts from the University of Georgia Peanut Team and peanut farmers from across the region explained the link between Georgia’s peanut industry and the research pioneered by agricultural scientists at UGA. “Georgia peanut farmers realize that research is what’s going to move them forward,” said Bob Kemerait, a peanut plant pathologist with UGA Cooperative Extension and a Georgia Peanut Tour committee member, explaining that farmers fund over $1 million in research each year through the peanut commission. One research success farmers pointed to repeatedly during the tour was UGA peanut experts’ work to control tomato spotted wilt virus in the state’s peanut fields. “When I first started seeing this (tomato spotted wilt virus) problem, I said, ‘This is going to put us out of the peanut business,” said peanut farmer Charlie Cromley during a harvest demonstration at one of his family’s peanut fields near Springfield, Georgia. The tour also gave farmers the chance to demonstrate how they’ve put the latest research into action. At the Boddiford Farm in Sylvania, Georgia, father and son team Joe and Knapp Boddiford showcased how new precision agriculture technologies have reduced the amount of water they use to irrigate their crop and how it has resulted in more productive peanut plants. Today, peanut researchers are working to identify more insect- and disease-resistant peanut varieties, better weed control measures and more productive cultural practices to help solve emerging problems in Georgia’s peanut fields. 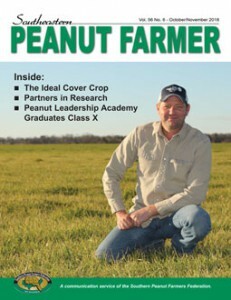 For more information about the impact of the UGA Peanut Team, visit peanuts.caes.uga.edu. View 2018 Georgia Peanut Tour photos from the University of Georgia and the Georgia Peanut Commission. By Merritt Melancon, news editor with the University of Georgia College of Agricultural and Environmental Sciences. The Georgia Cotton Commission, Georgia Peanut Commission and the University of Georgia Extension Cotton and Peanut Teams, will co-sponsor a joint research field day on Wednesday, Sept. 5, 2018, in Tifton, Georgia. The field day will start at 8:00 a.m. at the University of Georgia Conference Center (15 RDC Rd., Tifton, Georgia) before relocating to the RDC Pivot and Ponder Farm to view research trials. Those planning to attend need to RSVP by Friday, Aug. 31, to Jeannie Evans at jevans12@uga.edu or 229-386-3006. The purpose of the tour is to showcase current research, which is funded by the respective commissions, in plot-side presentations by the researchers themselves. The sponsors’ goal is to provide an educational environment for cotton and peanut farmers and give them the opportunity to pose questions directly to the researchers and to express opinions and concerns pertinent to the production of their crops. Chairmen of the peanut and cotton commissions, Armond Morris and Bart Davis, respectively, agree this event gives farmers the distinct opportunity to interact with the leadership of each commission, other farmers and industry representatives. It is an excellent place for farmers to observe, first-hand, the research programs funded by their checkoff investments. To view an agenda, visit www.georgiacottoncommission.org or www.gapeanuts.com. Applications are now being accepted for Class XI of the Peanut Leadership Academy. To be eligible for participation, candidates must derive their primary livelihood from farming and currently produce peanuts, make a commitment to the program and agree to attend all sessions except in times of illness or a family emergency, be between the ages of 22 and 45 and provide a completed application. The Peanut Leadership Academy is a cooperative effort between Syngenta Crop Protection, the American Peanut Shellers Association and grower organizations. 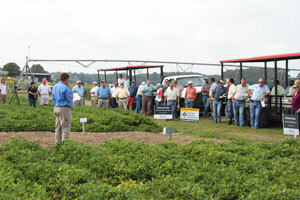 The program began in 1998 with the first class of 14 peanut growers from Alabama, Florida and Georgia. Since then, the academy has grown to include growers from Mississippi, North Carolina, South Carolina, Texas, Virginia and sheller representatives. During the program, participants are taught how to become more effective spokespeople for the peanut industry, develop industry relationships and further grow their leadership skills. Five sessions take place throughout the 18-month class and require approximately 20 days of travel. During the sessions, activities are structured to give participants a thorough understanding of the United States peanut industry and include industry tours, meetings with industry leaders and professional development training. Each class also has one leadership session in Washington, D.C. where participants have an opportunity to visit with members of congress on issues affecting the peanut industry. 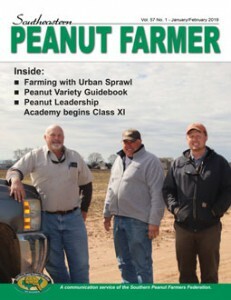 To download a copy of the upcoming class application, visit www.southernpeanutfarmers.org. Applications must be postmarked by Oct. 15, 2018, for consideration. The first session will begin in December 2018. Agricultural producers have new resources available to them to prepare for and recover from impacts of natural disasters on the U.S. Department of Agriculture’s new website, farmers.gov. The site has updated tools and information to help agricultural producers identify the right programs and make decisions for their operations. New additions to the site – being built for farmers, by farmers – include a farmers.gov portal for secure business transactions and a disaster assistance discovery tool. The discovery tool walks producers through five questions to help them identify personalized results of what USDA disaster assistance programs meet their needs. The farmers.gov portal is the first edition of a secure dashboard for producers to manage program applications and other USDA documents. An online playbook, where people can track the latest developments of the site. To watch a message from Secretary Perdue regarding Farmers.gov, you may click the above image or view Secretary Perdue’s message. 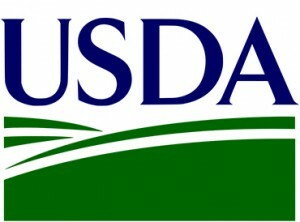 USDA’s Farm Service Agency, Natural Resources Conservation Service and Risk Management Agency are collaborating with partners in the government and private sector to build farmers.gov. Work began in fall 2017, and the site launched in 2018. The Georgia Peanut Commission seeks eligible peanut producers who are interested in serving as an alternate member on the National Peanut Board. The Georgia Peanut Commission will hold a nominations election to select two nominees for alternate position to the National Peanut Board during a meeting on Sept. 13, 2018, at noon at the GPC headquarters in Tifton, Ga. All eligible peanut producers are encouraged to participate. Eligible producers are those who are engaged in the production and sale of peanuts and who own or share the ownership and risk of loss of the crop. Neil Lee of Bronwood, Ga., serves as the current alternate for the state of Georgia. The term for the current Georgia alternate expires Dec. 31, 2018. The United States Department of Agriculture requires two nominees from each state for the alternate position. The National Peanut Board will submit Georgia’s slate of nominees to the U.S. Secretary of Agriculture, who makes the appointments. The National Peanut Board encourages inclusion of persons of any race, color, national origin, gender, religion, age, disability, political beliefs, sexual orientation and marital or family status. NPB encourages all persons who qualify as peanut producers to attend the meeting and run for nomination. It is USDA’s policy that membership on industry-government boards and committees accurately reflect the diversity of individuals served by the programs. The Georgia Peanut Commission has been working on the behalf of Georgia’s peanut farmers since 1961 in the areas of promotion, research and education. The National Peanut Board represents all USA peanut farmers and their families. The mission of the Board is to improve the economic condition of USA peanut farmers and their families through compelling promotion and groundbreaking research. Farm Service Agency (FSA) Administrator Richard Fordyce reminded producers recently that the deadline to sign up for enrollment in the Conservation Reserve Program (CRP) is Friday, Aug. 17, 2018. For this year’s signup, limited priority practices are available for continuous enrollment. They include grassed waterways, filter strips, riparian buffers, wetland restoration and others. View a full list of practices. FSA will use updated soil rental rates to make annual rental payments, reflecting current values. It will not offer incentive payments as part of the new signup. USDA will not open a general signup this year, however, a one-year extension will be offered to existing CRP participants with expiring CRP contracts of 14 years or less. Additionally, FSA established new ranking criteria for CRP grasslands. To guarantee all CRP grasslands offers are treated equally, applicants who previously applied (prior to the current sign-up period) will be asked to reapply using the new ranking criteria. In return for enrolling land in CRP, USDA, through FSA on behalf of the Commodity Credit Corporation (CCC), provides participants that remove sensitive lands from production and plant certain grasses, shrubs and trees that improve water quality, prevent soil erosion and increase wildlife habitat with annual rental payments and cost-share assistance. Landowners enter into contracts that last between 10 and 15 years. Signed into law by President Reagan in 1985, CRP is one of the largest private-lands conservation programs in the United States. Thanks to voluntary participation by farmers, ranchers and private landowners, CRP has improved water quality, reduced soil erosion and increased habitat for endangered and threatened species. The new changes to CRP do not impact the Conservation Reserve Enhancement Program, a related program offered by CCC and state partners. Producers wanting to apply for the CRP continuous signup or CRP grasslands should contact their USDA service center. To locate your local FSA office, visit https://www.farmers.gov. More information on CRP can be found at www.fsa.usda.gov/crp.